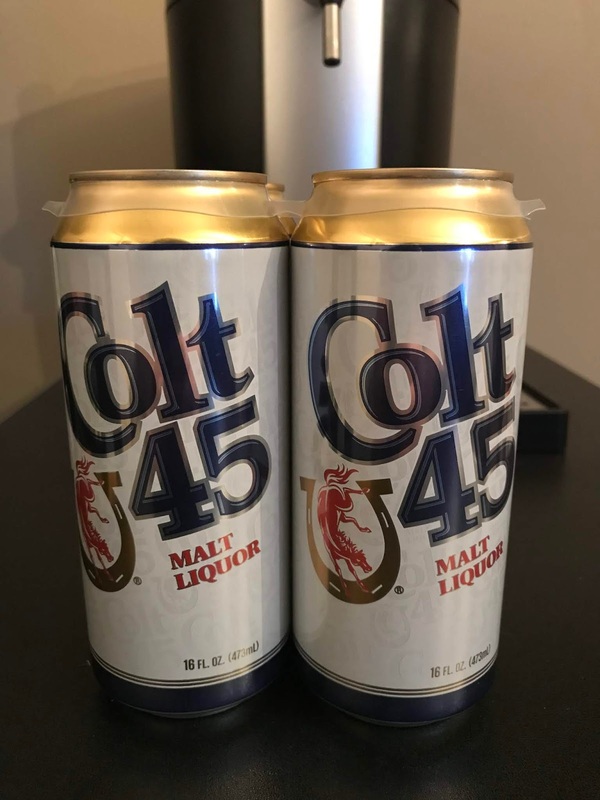 It works every time, so what better way to wrap up out final feature of Malt Liquor May than with Colt 45 as the bumwinebob.com malt liquor of the week! 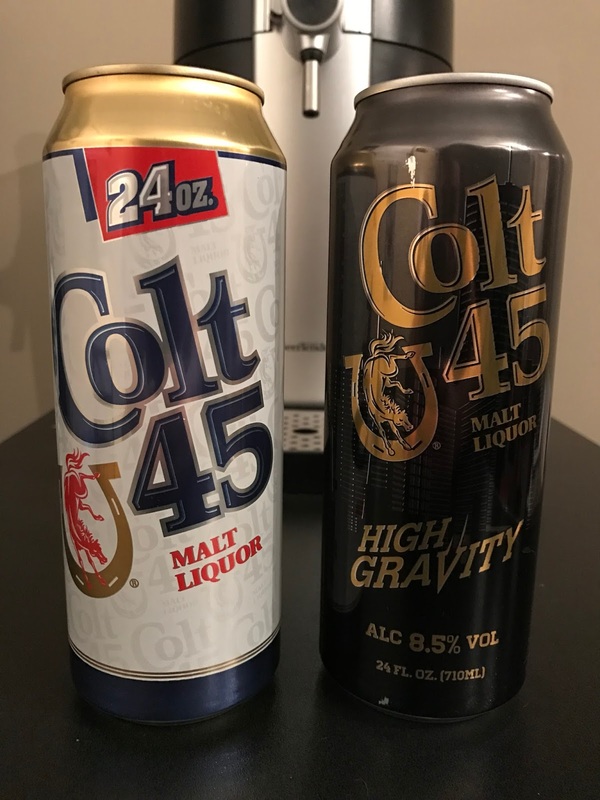 As a special treat we are featuring TWO Colt 45 beverages, the classic Colt 45 Malt Liquor and Colt 45 High Gravity! 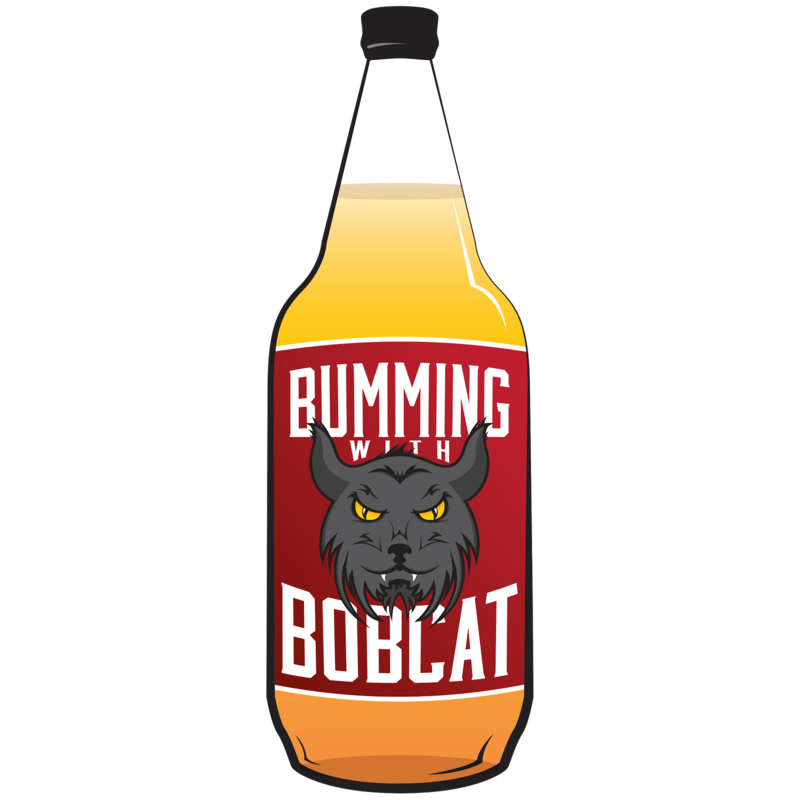 I would have loved to add the Colt 45 Double Malt, Colt 45 Pile Driver, and even the discontinued Colt 45 Blast to the list, but my searches for those have come up empty. Colt 45 is mostly associated with it's advertisements featuring Billy Dee Williams in the 1980's that helped bring Colt 45 to prominence in the malt liquor community.Coming in at 5.6% ABV it is a smooth beverage that does indeed hit the spot and "work every time". 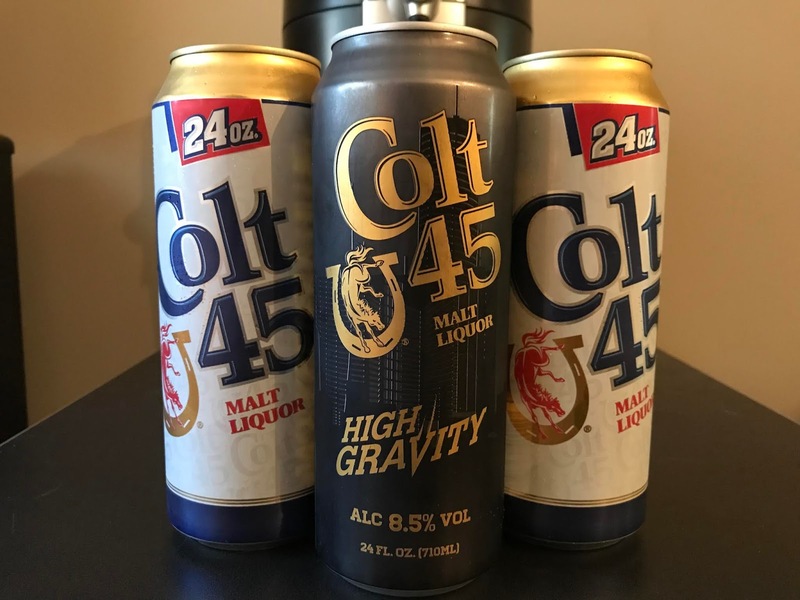 Depending on your mood you are guaranteed to find a beverage size that works best for you since Colt 45 is available in 7, 12, 16, 18, 22, 32, and 40 ounce packages. 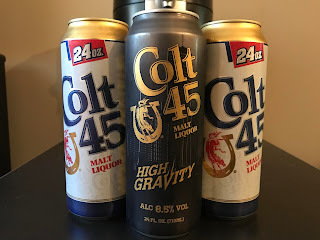 For those of you looking for an extra kick with a higher ABV in your malt liquor, Colt 45 High Gravity is for you. 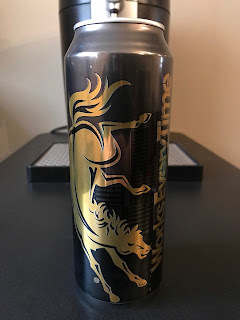 Coming in at 8.5% ABV it will give you that push you need. It's not as smooth as the classic Colt 45 in my opinion, but has it's own unique taste. As we wrap up our final Malt Liquor Of The Week feature for Malt Liquor May, I would like to thank everyone who came along with us for the ride this past month! 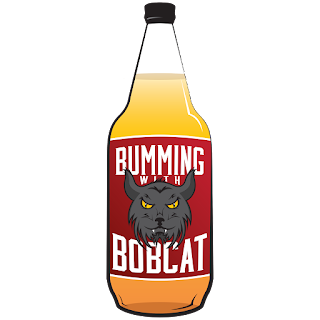 We will put a bow on all the Malt Liquor Mayhem LIVE this Monday at 10pm EST (hopefully...as long as everything goes as planned) on sfdradio.com with an all new edition of Bumming with Bobcat!